An important characteristic of bosons is that their statistics do not restrict the number of them that occupy the same quantum state. This property is exemplified by helium-4 when it is cooled to become a superfluid. Unlike bosons, two fermions cannot occupy the same quantum space. Whereas the elementary particles that make up matter (i.e. leptons and quarks) are fermions, the elementary bosons are force carriers that function as the 'glue' holding matter together. This property holds for all particles with integer spin (s = 0, 1, 2 etc.) as a consequence of the spin–statistics theorem. Additionally, the graviton (G) is a hypothetical elementary particle not incorporated in the Standard Model. If it exists, a graviton must be a boson, and could conceivably be a gauge boson. 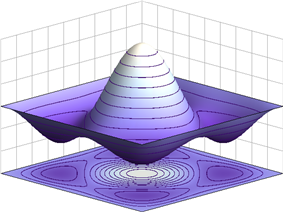 Bosons differ from fermions, which obey Fermi–Dirac statistics. Two or more fermions cannot occupy the same quantum state (see Pauli exclusion principle). Since bosons with the same energy can occupy the same place in space, bosons are often force carrier particles. Fermions are usually associated with matter (although in quantum physics the distinction between the two concepts is not clear cut). 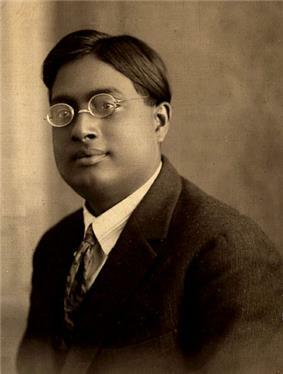 Bosons are particles which obey Bose–Einstein statistics: when one swaps two bosons (of the same species), the wavefunction of the system is unchanged. Fermions, on the other hand, obey Fermi–Dirac statistics and the Pauli exclusion principle: two fermions cannot occupy the same quantum state, resulting in a "rigidity" or "stiffness" of matter which includes fermions. Thus fermions are sometimes said to be the constituents of matter, while bosons are said to be the particles that transmit interactions (force carriers), or the constituents of radiation. The quantum fields of bosons are bosonic fields, obeying canonical commutation relations. All known elementary and composite particles are bosons or fermions, depending on their spin: particles with half-integer spin are fermions; particles with integer spin are bosons. In the framework of nonrelativistic quantum mechanics, this is a purely empirical observation. However, in relativistic quantum field theory, the spin–statistics theorem shows that half-integer spin particles cannot be bosons and integer spin particles cannot be fermions. In large systems, the difference between bosonic and fermionic statistics is only apparent at large densities—when their wave functions overlap. At low densities, both types of statistics are well approximated by Maxwell–Boltzmann statistics, which is described by classical mechanics. All observed elementary particles are either fermions or bosons. The observed elementary bosons are all gauge bosons: photons, W and Z bosons, gluons, and the Higgs boson. Higgs Bosons give other particles mass via the Higgs mechanism. 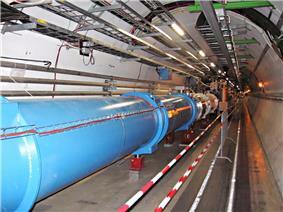 Their existence was confirmed by CERN on 14 March 2013. To which states can bosons crowd? Bose–Einstein statistics encourages identical bosons to crowd into one quantum state, but not any state is necessarily convenient for it. Aside of statistics, bosons can interact – for example, helium-4 atoms are repulsed by intermolecular force on a very close approach, and if one hypothesize their condensation in a spatially-localized state, then gains from the statistics cannot overcome a prohibitive force potential. A spatially-delocalized state (i.e. with low |ψ(x)|) is preferable: if the number density of the condensate is about the same as in ordinary liquid or solid state, then the repulsive potential for the N-particle condensate in such state can be not higher than for a liquid or a crystalline lattice of the same N particles described without quantum statistics. Thus, Bose–Einstein statistics for a material particle is not a mechanism to bypass physical restrictions on the density of the corresponding substance, and superfluid liquid helium has the density comparable to the density of ordinary liquid matter. Spatially-delocalized states also permit for a low momentum according to uncertainty principle, hence for low kinetic energy; that's why superfluidity and superconductivity are usually observed in low temperatures. 73Ta). All have nonzero integer spin. ^ Wells, John C. (1990). Longman pronunciation dictionary. Harlow, England: Longman. entry "Boson"
^ Carroll, Sean (2007) Dark Matter, Dark Energy: The Dark Side of the Universe, Guidebook Part 2 p. 43, The Teaching Company, ISBN 1598033506 "...boson: A force-carrying particle, as opposed to a matter particle (fermion). Bosons can be piled on top of each other without limit. Examples include photons, gluons, gravitons, weak bosons, and the Higgs boson. The spin of a boson is always an integer, such as 0, 1, 2, and so on..."
^ Daigle, Katy (10 July 2012). "India: Enough about Higgs, let's discuss the boson". ^ Bal, Hartosh Singh (19 September 2012). "The Bose in the Boson". ^ Charles P. Poole, Jr. (11 March 2004). Encyclopedic Dictionary of Condensed Matter Physics. Academic Press. ^ Carroll, Sean. "Explain it in 60 seconds: Bosons". Symmetry Magazine. ^ Srednicki, Mark (2007). Quantum Field Theory, Cambridge University Press, pp. 28–29, ISBN 978-0-521-86449-7. ^ Sakurai, J.J. (1994). Modern Quantum Mechanics (Revised Edition), p. 362. Addison-Wesley, ISBN 0-201-53929-2.